Ok, lame title, but I couldn’t think of a better way to describe how I spent last Saturday. 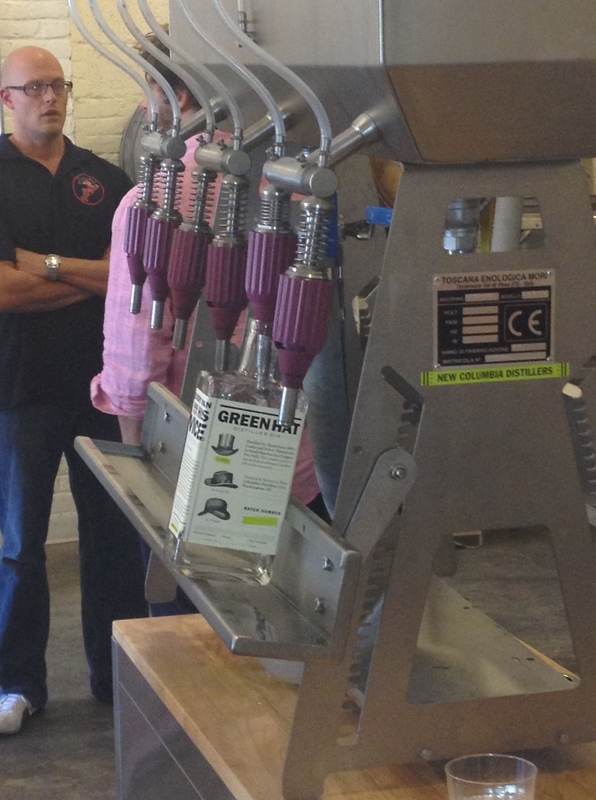 I recently found out that Washington has it’s very own gin distillery, New Columbia Distillers. People have been talking about the craft breweries that have been popping up around town, like this one, this one, and this one, but I only just discovered the gin. Not only do I love a good G+T on a hot summer day, it should also be noted that as a native Washingtonian, I get really excited when we attract new, different businesses in this town. Living in a city that’s entirely centered around the government is super boring, so I love that people are diversifying the economy here. They are breathing much-needed new life into the city and making it a little cooler and more fun to live here. Way to go, New Columbia! 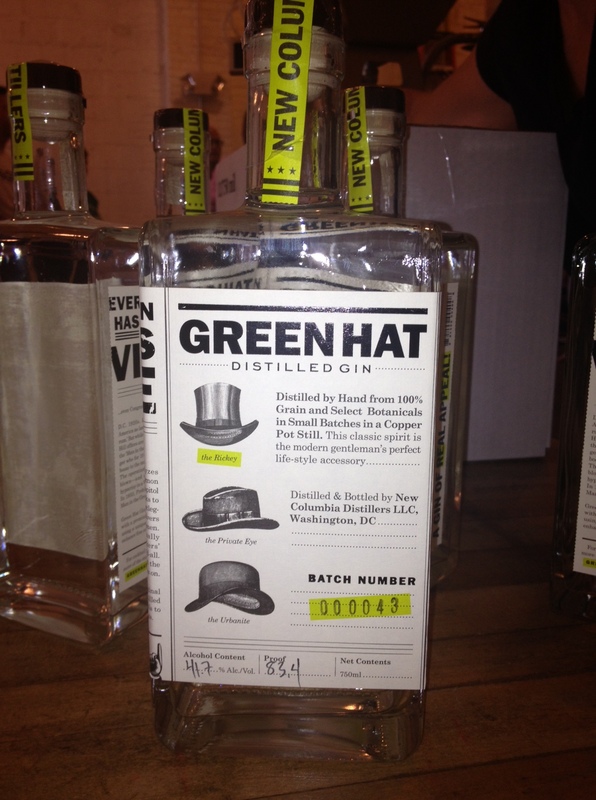 Anyway, I got on the Green Hat Gin website (that’s their brand) a few weeks ago to see what it’s all about. Upon quick inspection, I found out that you can sign up to volunteer to help them bottle on weekends. It’s free to volunteer, and you know I need weekend activities that don’t involve me spending money. Clearly, I was intrigued, so I signed up online and last weekend my number got called. It’s a pretty easy process, and they let you do a little bit of everything. It took about 2 hours, but it went by quickly because they gave me a few gin and tonics for my trouble. Not too shabby! The whole volunteer process starts with what they call the gin cow. 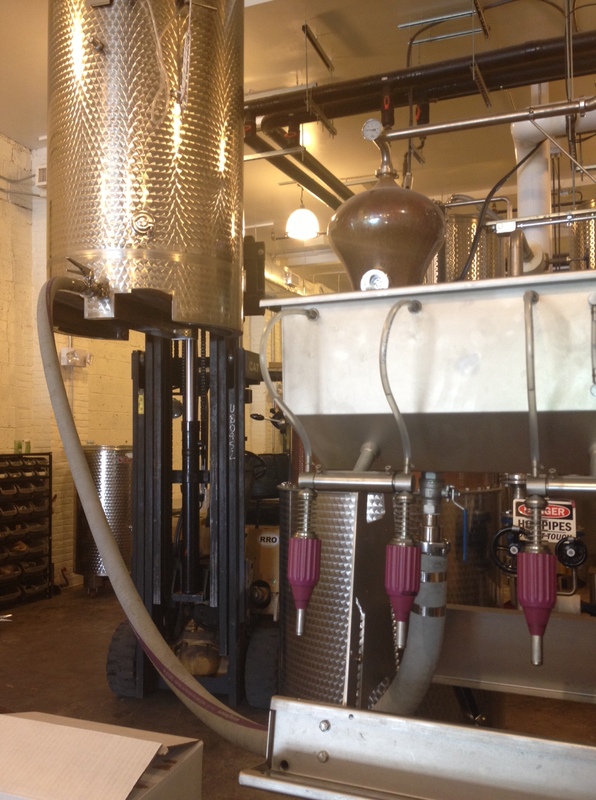 That huge silver canister to the left is full of gin, and they raise it up so that it drips into the machine with the funny looking udders below. Once the cow is full, then it’s go time. 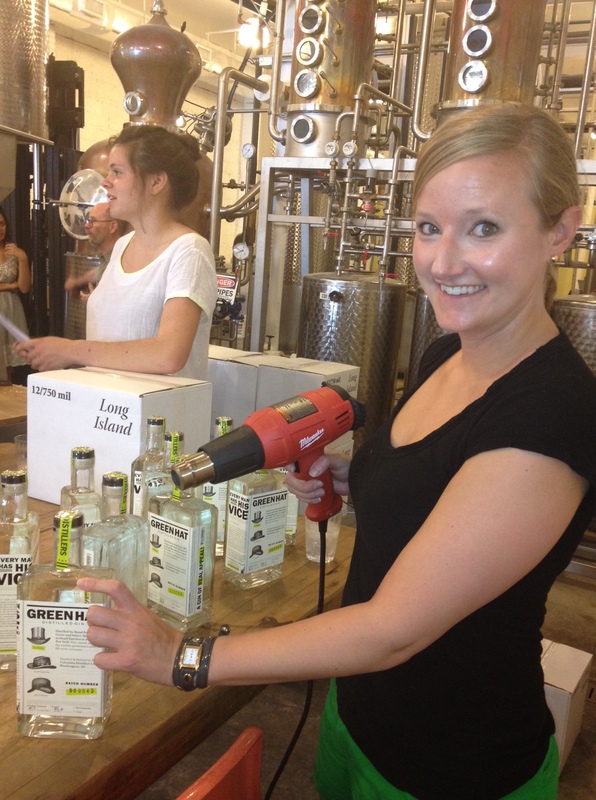 We dispensed the gin into the bottles, corked it, labeled it, and sealed it to go off to be sold. Here I am in the final step of the process, blow-drying the plastic top onto the bottle. Notice the beads of sweat on my brow, I was working hard! And, here is the finished product from my batch. If you happen to pick up a bottle from batch 43, you’ll know it was hand bottled by yours truly (and a band of other volunteers). The lovely owners gave us a discount on our work, so I took home a bottle for safe keeping. I was thinking of using to make this punch that I had at a party a few weeks ago. Or, I could try my hand at some of these. So how about it? Have any of you had my hometown gin before? Very, very cool. That’s my kind of volunteering! The Gin Rickey is DC’s official drink, If I’m not mistaken. You ARE a good Washingtonian!